I am by no means a social butterfly, but I love to play hostess. Often times, the menus I plan to make are often much grander than my capabilities. Sometimes you just have to make something simple. For instance, this fantastic Spinach Dip that came together in about half an hour. I ate way too much of this stuff, but it was just so good, I couldn’t help myself. Not only is this recipe fast and easy, it’s missing a lot of the ingredients that freaked me out about other similar dips (like mayo, which sounds gross). Also, it has sauerkraut as a main ingredient; therefore, it’s extra awesome. The other thing I’m learning is that you don’t have to make everything. Sometimes ordering native wings from Native Foods is the way to go. 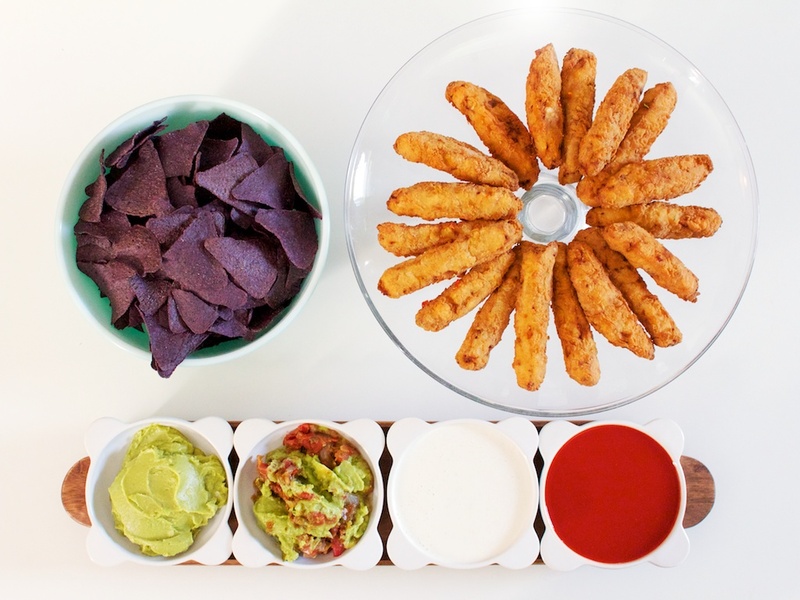 Pair that with some chips and guacamole from Trader Joe’s and you’re set. Now that’s easy. Do you have any favorite easy recipes to share? Something good for sitting around and watching a movie with friends? Holy smokes! That spinach dip looks delicious. When I’m entertaining, I always love to have a big bowl of guacamole and a homemade batch of baked tortilla chips. PS – your new design looks great. Thanks Ashlae! I’m always a fan of guacamole. But I’ve never made tortilla chips before. Something to add to the list. 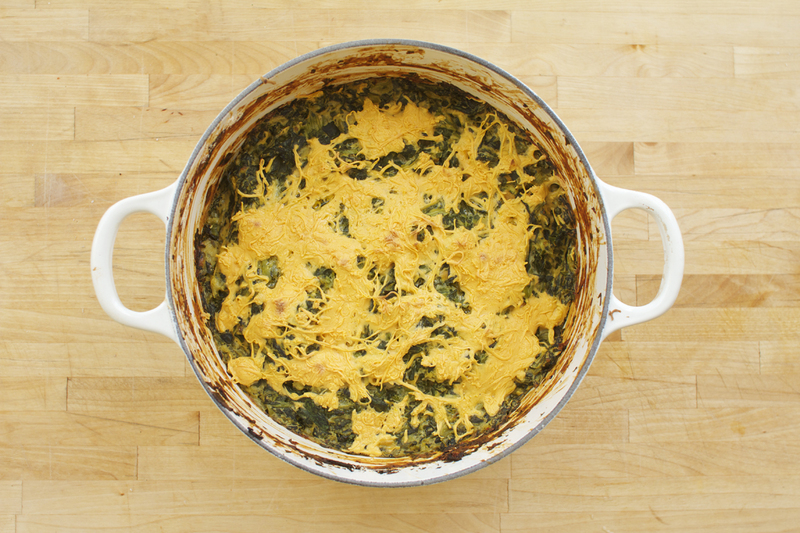 Oh man, that spinach dip…I could easily just sit down with a spoon and eat that like a casserole. I tend to default to hummus and pita out of laziness, but I should really step it up a bit. If you replace some chips with your spoon, that’s basically what I did. I think I ate about 1/4 of that dish. Oops. I just posted about my go-to recipe, an easy, convenient baked nacho extravaganza that is much more delicious than the effort would imply. But my favorite thing to serve guests is homemade bread. It’s time-consuming but easy, and it always impresses. I make an easy white bean dip – can of white beans, some almonds, fresh rosemary, olive oil, salt, pepper, lemon juice – blend in the food processor. So easy and good. That spinach dip looks great! Wow that white bean dip sounds really good. I’d like to try it. Maybe even on a panini? Oh man the dip at Sage is SO GOOD. I think this may have been what spawned my craving for spinach dip at all.